Tadaa, here it is: the 2012 and 2013 seasons of the European Superkart Championship. Two thrilling seasons with both over 30 karts. 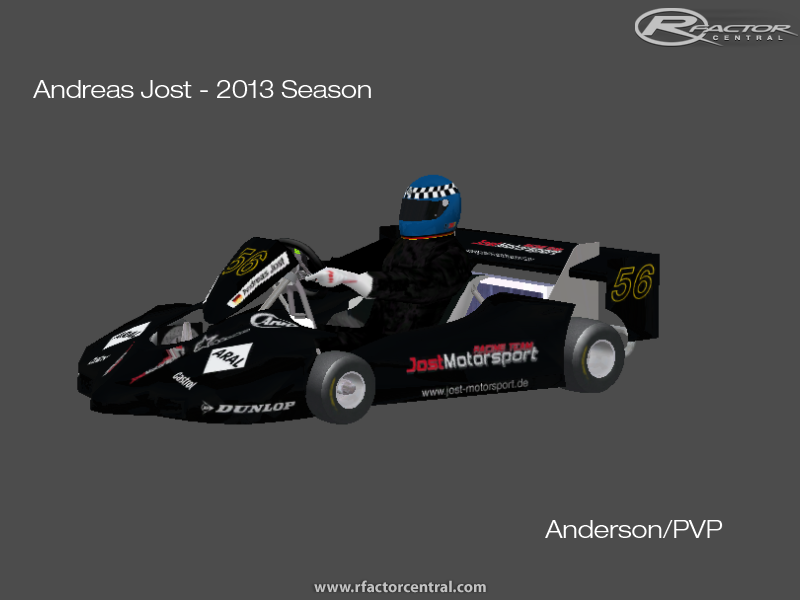 Plus, an updated version of the 2011 mod included! That means 3 seasons of the original European Superkarts! 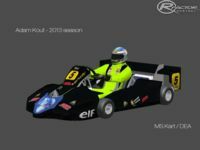 If you have a previous version of the 2011 Superkart mod, delete the 'Vehicles/SKC2011' folder. Or if you have the 1.0 version, the 'Vehicles/SKC' folder. THIS IS IMPORTANT, or else you will end up with errors in the game. This mod may not be used for other purposes without my permission. If you have any questions about the mod, or anything else, feel free to ask. There are currently no setups for European Superkart Championship 2012 and 2013. Add a Setup. 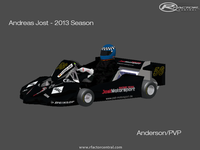 There are currently no car skins available for European Superkart Championship 2012 and 2013. If you are a painter you can share skins for this mod via the Car Skins area. Visit the Spray Booth for painting tips & tricks. One question: how can I enable virtual mirrors in cockpit view in this mod? Virtual mirrors work fine in the other mods I've installed but on this one virtual mirrors are disabled for some reason. i can build next track, but in future...its "overnight" hobby for me. The file we downloaded was 198,825 kb, is that right? It's a great honour to me that a real superkart driver asks me something. I'm a huge fan, and I've watched your Assen onboard race on youtube. 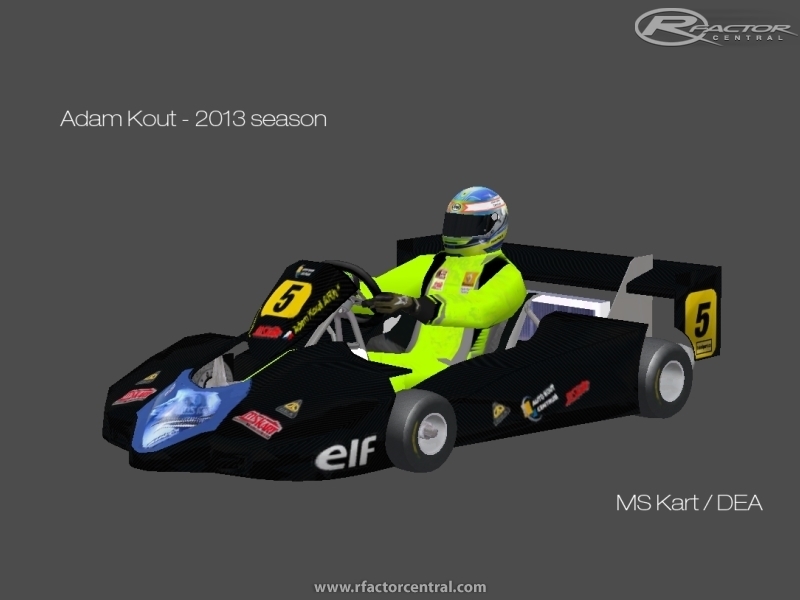 I've uploaded the image from the superkart mod on the mod page. do you have a screenshot / picture of me? Andreas Jost, starting number 56 at Assen in 2013. Many thanks for sharing this Mod. Brilliant fun hurtling round Assen. I do have a question with regard to the suspension set-up or geometry. When driving straight my G25 rattles, but when steering the force can be felt. However when changing gear the force seems to transfer from the left to the right side. It just feels a bit way-ward. Can I ask what steering set-up you use? Realfeel? I'm using 360 degrees, 80% overall, and 0% spring and damper effects. No self centering. The rattling and pulling to the right when shifting does sound strange but from own experience IRL. These karts do generate quite a bit of vibration and power. The rattling may or may not be your wheel but i can't be sure as I use a G27 that's less than a few months old and uses RFE although there is not too much difference without it to me and I haven't run into any problems yet. As for the rattle I would just say for now that maybe try turning the FFB down to see if it helps. if it goes away then it's your wheel otherwise I'm not sure what it could be. Great you like the mod. Nice to hear that. Unfortunately, I don't drive a lot with rFactor, so I don't use realfeel (I have quite an old steering wheel). I can't answer your question, but I'm sure you could try using different settings to make it feel better. I know my answer isn't very useful, but it's the only thing I can advice.